The verdant hills, the lush green valleys and the pristine natural beauty of the hill resort of Ooty offers the urban tired souls a chance to resume their affair with Nature, to whom they truly belong. The heavenly hill resort like a blushing bride peeks from behind the lofty Nilgiri hills. Set on the gentle slopes of Ooty, amidst lush green lawns and a colorful patterned garden, Fortune Hotel Sullivan Court is a modern-day tribute to John Sullivan, who founded the scenic town of Ooty in 1821. Rs. 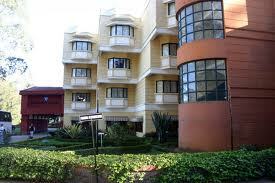 6499/- per night for a stay at the Fortune Club Room, includes room, breakfast, lunch or dinner, welcome drink, 20% discount on food and soft beverages, one half day city sight seeing by car, inclusive of taxes. Rs. 5999/- per night for a stay at the Standard Room, includes room, breakfast, dinner, 10% discount on food and soft beverages. All other package inclusions remain the same as above. All rates are on per night basis for a minimum of 2 nights stay except Tirupati. Airport/Railway/Temple transfers (wherever not mentioned in the package) are available on request and will be charged extra, especially for Ooty, where transfer charges are to be paid in advance. Rates are valid for 2 adults sharing a double room. Complimentary accommodation for two children below the age of 12 years in the same room, provided extra bed is not taken. All meal plans valid for 2 adults & children below 12 years. In Port Blair children between 5-12 years chargeable @ Rs 900/- per child per night in the same room, on the given meal & rate plan. Children above 12 years chargeable @ Rs 1200/- per child per night in the same room on the given meal and rate plan. Inclusive of currently applicable taxes. Packages are extendable on pro-rata basis and subject to availability. The rates are commissionable by 10% to bonafide travel agents. Offer valid on prior reservation. If you have not decided yet or wants to customize tour itinerary or hotels listed above in "Fortune Resort Sullivan Court, Ooty Summer Package by Fortune Hotels Rs.5999/-", then we can change the travel itinerary and make a personalized, tailor-made holiday package, especially for you. We can modify this travel package as per your itinerary, budget, duration and the tourist places you would like to visit, including transportation and airfare should be included or not. Please fill the form below to contact us.